Gary Alan Fine is John Evans Professor of Sociology at Northwestern University. 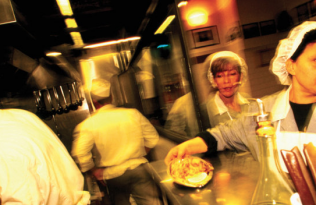 Fine’s latest edition of Kitchens: The Culture of Restaurant Work was released this month by UC Press. For additional thoughts on restaurants, please visit his culinary blog: Vealcheeks.